There is a lot of opportunity for stress in trucking. You might as well count on it at some point. The good news about that is since you now know this, you can think in advance how you will deal with stressful situations so as not to let it have so much of a negative effect on you. "Where does all of this stress in trucking come from? ", you might ask. You must remember, you will at times be 100's to 1,000's of miles away from home unable to get back for up to weeks. Often the person left at home was never in the position to handle all of the housing responsibilities and if there are kids parenting responsibility as well. This is just the home front. Then there is the miscellaneous incidents that will show up over the road just as in life in general. Knowing this, the question is how will you allow these things to affect you. This will determine the level of stress that you will experience. Also you might notice, that many of the items are also connected with each other. So if you have a problem with one, it could and in many cases, are likely to cause a problem in other areas. 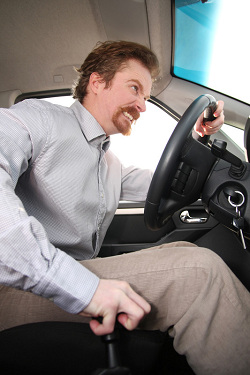 So you might see that some level of stress in trucking will be almost inevitable. Thus the importance of this page! But don't despair, the fact that you are reading this puts you at a huge advantage. There are many ways to cope with stress, some of them will be discussed on another page linked at the bottom. On this page we will talk about developing certain habits which will help limit the degree and instances of stress that you would otherwise experience. It's smart to do what is possible to avoid stress and learn about skills useful for coping with it before hand. Manage Your Time - Challenging as it may be as a trucker, there are things that we CAN do and those are what we must focus on. But also, we must realize that this is trucking. Plans don't always work out. Facing that reality alone will also help you not get stressed when plans fall through. Generally speaking....eliminate procrastination. Which is almost a universal fault of most people, lol. Those who decide to work on and eliminate it will not only experience less stress but also will experience more success and happiness in life. So in new driver tips, I tell you about allowing yourself extra time for pick up and delivers. This will help you to be able to deal with unexpected issues if they come up and still make it on on time. Say early Friday, you get dispatched on a 1,000 mile trip for the weekend. It may be tempting to drag along a few hundred miles each day. However, I recommend you drive your max hours each day to get as close as destination as possible and then just chill on the last day. Unless you have strategically planned to stop in route to spend time with family, friends, or at a place that you want to visit. However, if you have no plans to visit....you will relax much better on Sunday if you only have a few miles to left to drive and the rest of the day to kick back and read, write or to do whatever you like to do in leisure time. On the other hand, you could goof off in the beginning of the weekend say Friday drive 200 miles, and then again on Saturday drive 200 miles telling yourself, "I only have 600 miles to get there, I can do that on Sunday easily." But then what if you break down early Sunday after you have only traveled 100 miles? That means 500 miles to go after you spend all day in the shop. You may not even be able to legally do it, due to on duty hours for the day or total hours for the week. Not only will you be unhappy and you will also say these exact words, "I wish I had driven further on Friday and Saturday." Now depending on your thought process you might say, "No, it wouldn't bother me, they get it when they get it. It's not my fault." Well no it isn't a matter of fault but in life you think about how you can do things in better ways to give you better results. To put you in a better position. Also, in this case the reality behind this is if you are late Monday, they might not take your load when you get there. You might have to wait until Tuesday to get an appointment. Or you might not get out the shop until Monday. So what that means is it will cut back on the miles that you could have had for the week. So NOW you see. If you don't care about the potential negative impact on the company waiting for the freight, think about what it could mean to your paycheck. Also, if you do this often, (being late for any reason) then you will start getting crappy loads. Why? Because you are expendable. That is a common low quality driver. Any company can get those any day. A good driver on the other hand is hard to come by so you get the best loads. Which work ethic is stressful and which is not? Here is another time to check yourself... Some times when you go home, you might have things you want to get done. Or there might be a list that has built up which you promised your wife to attend to. It could be tempting to kick back all day and plan on doing things the day before you leave or worse the morning before you leave. If you know like I know, expecting things to go that smoothly is just asking for trouble. Here is the other no no attitude. "I will do it the next time I make it home in 2 weeks." Problem is, you might not make it home in two weeks. Your wife or husband will already be disappointed. In two weeks she will be twice as disappointed if you don't make it back. Relationships are delicate already especially for a new couple in the trucking lifestyle. Do you want to go this route? It's always best to go ahead and handle that business, pay that bill, visit your family, do that thing (whatever that thing is) because it is very possible that you won't make it back when you think you will make it back. With home time by the way, tell your dispatch early and then remind him/her 2 weeks and 1 week prior to the scheduled home time. These guys handle many drivers, they may not have a good system for keeping up with your request for home time. Don't leave it to chance. By the way, there will be times it won't work out, don't let it stress you. It's the nature of trucking. Can you see how powerful this thought process could be? It will not only minimize stress in trucking, but also in the rest of your life. Develop your faith - For me, I am no religious fanatic and far from a saint but I am constantly improving my character and personality. I am a very spiritual person. I don't worry about death. I don't worry about hell. If there is a heaven that is where I will be! If you have that level of faith then you know what I am talking about. When it comes to dealing with challenges in trucking or life, this relationship with life source, God, universal intelligence, Buddha, Allah, or whatever you believe absorbs much of the negativity and allows you to see the glass half full to extract the lessons instead of experiencing great deals of stress. This makes an incredible and solid foundation for peace. (and also accomplishing goals, and so many other things) Whatever you believe in (for the purpose developing faith) will help you cope if you spend time learning information derived from that belief system. There are great sermons on AFR or Bot Radio network all across the country to help nurture your belief system. Get your proper rest and nutrition - Essential to help your body operate efficiently. With out rest and nutrition your functioning will be sub par. Even if you don't notice. This could cause you to make poor choices, or be forgetful, or just too tired to perform. Poor health will definitely cause all types of stress or situations that will cause stress. If you are eating doughnuts and drinking soda everyday watching the lbs add up or staying up all night watching TV only to wake up early in the morning you are running yourself in the ground. Guaranteed road bumps ahead. 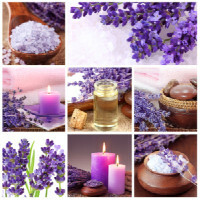 Essential oils can also be blended to combine the power of several different plant materials. 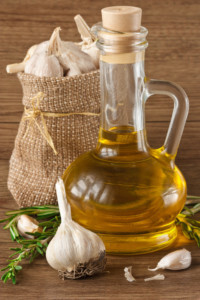 This Rosemary, Garlic and Olive Oil blend should deal with a long list of ailments if all of the claims are true. Oil of Jasmine is said to relieve stress, decrease anxiety, stop infections, relieve coughing, sooth PMS symptoms, alleviate muscle pains, and probably most known for being an aphrodisiac. It is used my many perfumes.